Do you know about a company that is sending nonconforming goods – goods that do not comply with contract specifications – to the Government? When the Government spends our tax dollars, it has the right to get what it paid for. The contractor does not have the right to substitute or change the order without permission from the United States. If you have evidence that a contractor has done that, you can file a False Claims Act lawsuit. You not only can make sure the Government does not get ripped off – you can get 25%-30% of what the Government recovers as a result of the fraud. Under the False Claims Act, “relators” can file what is called a “qui tam” lawsuit, which means that the whistleblower files the case on behalf of the United States. Lee Wallace graduated first in her class at Vanderbilt University, and she combines her Harvard and Vanderbilt educations with her 20 years of experience to help whistleblowers bring FCA cases that stop fraud against the Government.  Request a FREE evaluation with our lawyer today. In the past, numerous companies have been held accountable under the False Claims Act when they submitted non-conforming goods to the United States. This web page is designed to help you understand more about the history of this area of the law by describing real cases that have been brought under the Act. Brake shoes for Army Jeeps: In United States ex rel. Lyle Compton v Midwest Specialties, Inc., 142 F.3d 296 (6th Cir. 1998), a company was sued under the False Claims Act for delivering brake-shoe kits for United States Army Jeeps without fully testing them before delivery. Aircraft bearings: The U.S. won $381,838.36 from Aerodex in a False Claims Act lawsuit. U.S. v. Aerodex, Inc., 469 F.2d 1003 (5th Circuit 1973). The Navy had contracted to buy aircraft bearings from Aerodex. Instead of supplying the kind the Navy had ordered, Aerodex reworked a different bearing, which looked like the one that was ordered, and sent the substitute bearing instead. When it learned that the bearings were not what it had ordered, the Navy had to rip out bearings it already had installed on aircraft. Fuses for bunker buster bombs: In 2009, the U.S. filed an FCA Claim Against Kaman Dayron, Inc. The U.S. said that Kaman Dayron had used non-conforming parts in “fuzes,” which the U.S. explained were “sophisticated ignition devices incorporating mechanical and/or electronic components.” The devices were for “bunker buster” bombs used by the military to penetrate hard targets. The Government said that the non-conforming parts had bellows motors that could cause the fuses to fire too early, which obviously could create a serious danger for the military personnel who were handling the bombs. Kaman Dayron settled the case for $4.75 million, and agreed to a termination for default on its contract with the Government. The company also was put on a monitored compliance program to insure that it did not repeat the same sort of conduct with other contracts. Buy American Act Violations: CS Business Systems paid the U.S. $65,000 to resolve a suit under the FCA. The company had agreed to comply with the Buy American Act when it provided flash memory cards to the Naval Air Weapons Center, located in a California town called China Lake. According to the U.S., the Navy rejected cards that had been manufactured in Malaysia. CS Business agreed to send new flash memory cards, but when it did, it still sent cards that had been manufactured in Malaysia – although this time CS Business falsely labeled the cards with the name of an American manufacturer. Do you have evidence that a contractor is cheating the Government? Lee Wallace is the former President of the Georgia Association for Women Lawyers, and for many years has been named one of the Top 100 Trial Lawyers in the state. Contact a whistleblower lawyer today to get help with your qui tam case.